In due course of this article, we will checking out on how to root Asus Transformer with the latest Jellybean firmware 10.4.2.13 version. Once you root the device, you can install many custom ROM Firmwares which supports apps which need the root access and also additionally the whole user experience will be improving a lot too. Upto today this Jellybean Root work around is only there for TF300T Model but very soon it will be coming for other transformer variants too. The entire credits will goes to the DA Senior Member surdupetru who has come up with this work around. Before start to root your device, make sure that your device is boot loader unlocked as it won’t work on the boot loader locked devices. And also check the firmware version. You can check the same from the path “Settings > About Tablet” where the firmware version which you can check from the path “Settings > About Tablet” where the firmware version should be read as 10.4.2.13 version. If there is any other version then this workaround can’t be applied. So don’t make try in that. Suppose, your device is nor boot loader unlocked, then you can unlock the same from the official ASUS website. Before start to apply this update we strongly advise you to take backup of all the data (i.e SMS, MMS, Call logs, APNs etc) present in your phone. If you lost your data while applying this update due to any reasons you can easily recover them with the help of backup. And also ensure that your device has active USB Ports which have complete read/write access. Install all the Drivers for Asus Transformer TF300T device in your computer. So, once you confirmed you have done all the above mentioned instructions, then you can switch over to the next steps which we have given below on how to root your device. 1. First, download the asus.7z zip file from here to your computer and extract the same to get asus.zip. 2. Now, connect your device to the computer by using the original USB cable and place the zip file in the device. 3. Now, once it is placed, then disconnect the device and turn OFF the same so that it can be entered in the recovery mode. 4. For that you need to Hold the Volume Down button + Power button till you see the message “Press Volume Up to enter RCK (5s)”. 5. Once it’s done, you now need to press Volume Down once to highlight the USB icon, then press the Volume Up button to confirm the same. In recovery mode you will have to select the option of “Cache/Dalvik cache” to wipe the cache as it will clear out the cache from the recovery mode. 6. Now, in the recovery mode, you need to select “install zip from sd card” > “choose zip from sd card” and then choose the asus.zip file which you placed in your device. 7. Once the file is selected, it will take around 3 – 4 minutes for applying the zip package. Once the rooting package is applied successfully, it may take longer time than expected for booting up the device. Ensure that you are not pressing the power button in the process of device being booted up. NOTE : In case, if your ASUS Transformer Pad TF300T device refuses to turn ON or say if it gets stuck on the ASUS Logo then you need to long press the power button to turn off the same or re insert the battery to start the process from beginning. 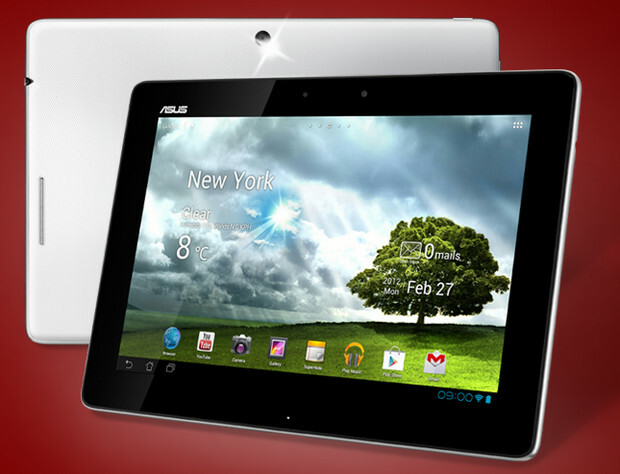 So, there you go you have now successfully rooted the ASUS Transformer Pad TF300T device. If you want to check whether the device has been rooted or not, download the “Root checker” app from the Google PLAY Store and check the same. Don’t forget to share your thoughts in the comments section. If you have any issues to root the device then let us know, we will try to rectify the same as soon as possible.